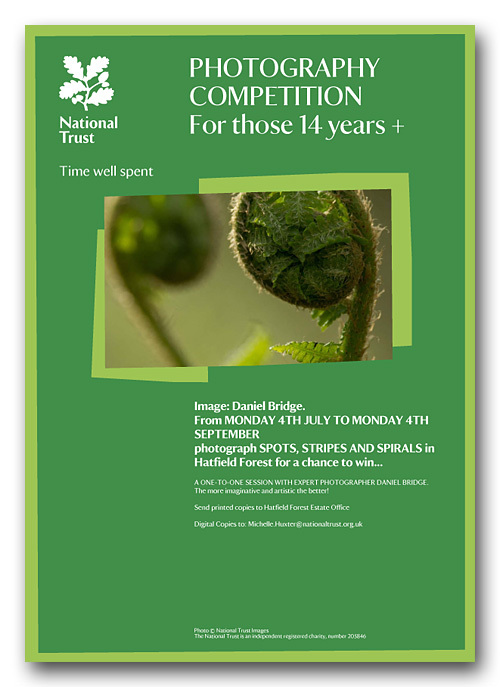 The National Trust at Hatfield Forest, Essex, are running a photography competition this summer, with the theme of 'Spots, Stripes and Spirals'. Photos need to be taken in the forest, so get yourself there, enjoy a walk in the woodland (there's over 1,000 acres to explore), try to spot some deer and take lots of photos. What can you win? Well, a 1-2-1 photography tuition session with me, which would normally cost you £100, so get snapping! I'm just the prize, so for any questions about the competition itself, please get in touch with the NT at Hatfield Forest.